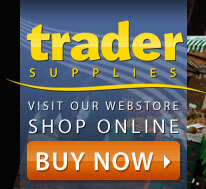 The Resources section of our website is dedicated to providing useful information to Market Traders. Whether newcomers or old hands there's something here for everybody. We're constantly adding new content so recommend that you sign up to our E-Shot Newsletter to be kept up to date with all the latest additions as well as exclusive offers on our Market Stall and Equipment range. Assembly diagrams for all of our standard Market Stalls and Market Stall Equipment fabrications. Always useful if you've mislaid the instructions or have purchased one of our Market Stalls second hand. Recommended links to Market Trader related websites, ideal for sourcing stock or finding a new Market pitch. A list of recommended Market Trader publications and newspapers with relevant contact numbers and website addresses for ordering subscriptions. A selection of articles about running a Market Stall, things you should consider when designing your own Market Stall and a comprehensive glossary of Market terms.